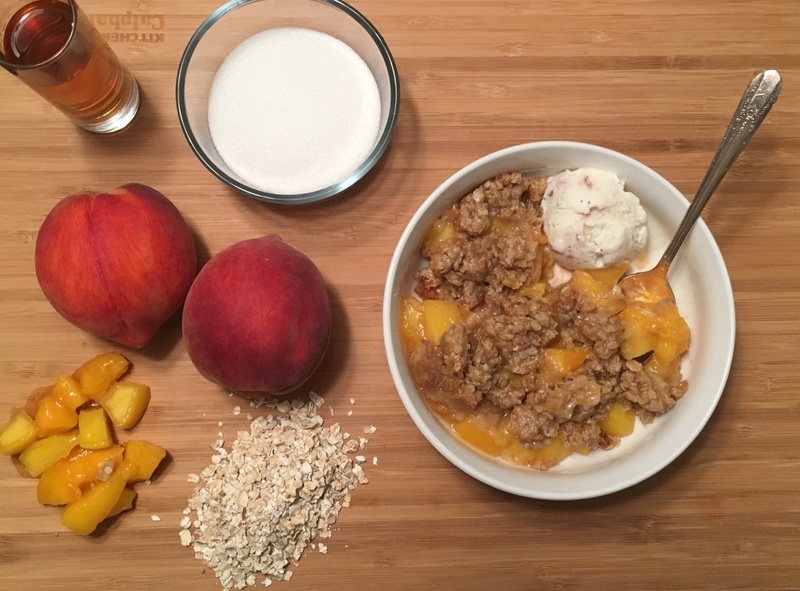 This is an easy and delicious dessert recipe that tickles the tastebuds with fresh peaches, fine bourbon, and Dixie Crystals sugar. This is also my official entry in the Sweet and Southern Desserts Recipe Contest sponsored by Dixie Crystals. The rules are simple – make a dessert using at least one tablespoon of sugar. Dixie Crystals is one of the wonderful sponsors of the Blog Life University Conference, held in Atlanta, GA from July 21-23 2016. I look forward to attending this year. Gently mix peaches, sugar, and bourbon in large bowl. Set aside. Preheat oven to 375°F. Place six 1 1/4-cup ramekins on large baking sheet. Divide filling among ramekins. Mix butter, oats, flour, brown sugar,pecans,salt, and cinnamon in large bowl to blend. Mixture should hold together with small clumps. Sprinkle over filling. Bake crisps for 30 minutes.Cool at least 10 minutes. While crisps are cooling, have some bourbon. You owe it to yourself. Serve with ice cream, if desired. Peaches and bourbon??? I’m sold! This looks like a delicious recipe for my next dinner party! !